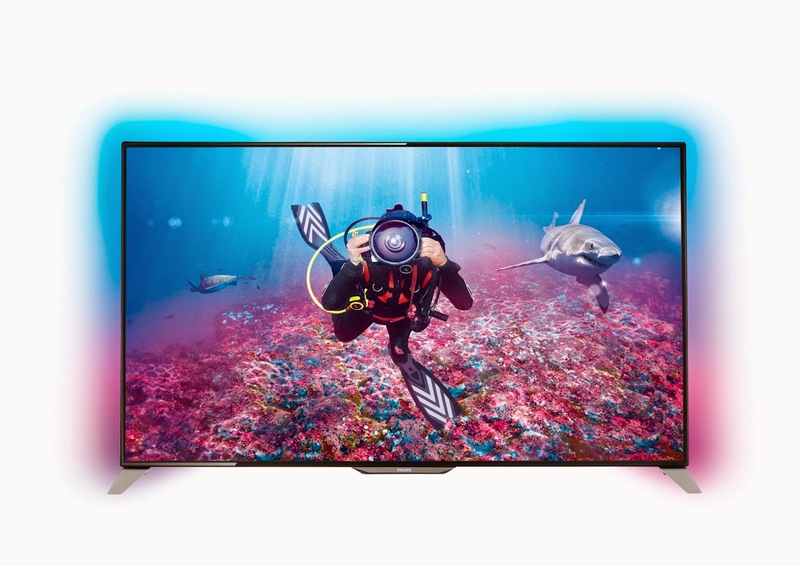 April 7, 2015, Mumbai: Setting a new milestone in the evolution of Ultra HD television in the country, PE Electronics, official brand license partner of Philips for India, today launched the first 4K Ultra HD television range featuring Ambilight technology. The consumers will now experience a technology which will change the way consumers view televisions in India. On the occasion of the launch, celebrities like Soha Ali Khan, Kunal Kemmu, Rannvijay Singha and Atul Kasbekar were present to share their first-hand experience of using this milestone product. 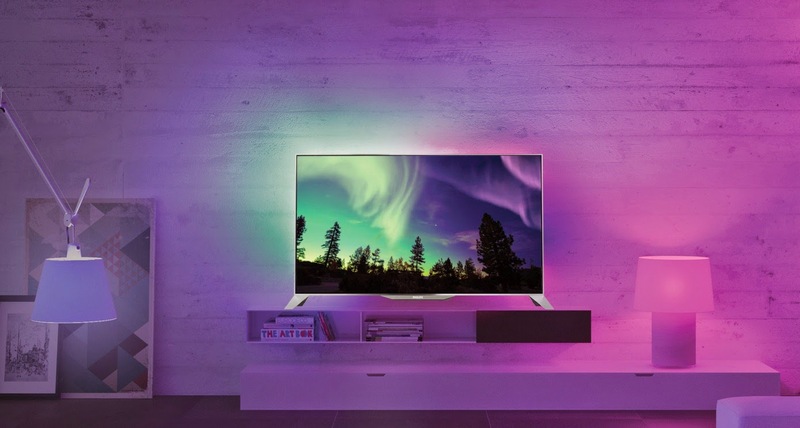 Ambilight - Ambilight is ambient lighting, a patented technology exclusive for Philips TV’s. Ambilight breaks the conventional norms of TV viewing, beyond the usual four boundaries of a television. Ambilight technology projects light from the back panel of the television, corresponding to the content being played. This projected light is dynamic and changes according to the content. Ambilight gives you the most immersive viewing experience. Further, it reduces the strain on your eyes during long viewing hours. Philips has always set a benchmark by introducing consumers to televisions that are technologically advanced and innovative. The new Ultra HD TV with Ambilight is powered by Pixel Plus Ultra HD picture quality engine. Further, perfect motion rate of 400 Hz ensures smoothest experience for fast moving images and is perfect for gaming. This TV is Smart and allows you to access social networking sites, browse internet, play games, Skype, access YouTube and Vimeo amongst a host of applications. This television comes with an inbuilt app gallery as well. Other features include active 3D which gives you a much higher resolution than passive 3D, better image depth and better colors, Philips Micro Dimming Pro which - produces deeper blacks and brighter whites, regardless of the level of light in the room etc. Neeraj Sethi, Chief Executive Officer, PE Electronics Ltd, said “We are excited to be the first in this category to introduce India to the revolutionary technology of UHD TV with Ambilight which will change the way consumers view television in the country. At Philips, we have brought the most stirring and magical experiences closer to the consumer, with a magnificent interplay of colour and light with the wondrous 4K technology. It will be an unforgettable and thrilling experience that will linger in the hearts and minds of the consumer for long time to come. We are confident that this product driven by its pure technology will push the existing boundaries of the television industry”. Koos Dekker, Sr. Director Consumer Care, Quality and Sustainability Global Brand Licensing, Philips Group, “Philips believes in creating products with consumer at the centre of attention. Philips has been coming out with innovative products over decades to provide experience and value to the consumer. With the launch of Philips Ambilight 4K Ultra HD TV, Philips aims at revolutionizing the television viewing experience in the country. The new age consumers want much more than just an ordinary television and this latest product essentially targets consumers, who want the best that is available in the market. Philips Ambilight 4K Ultra HD LED TV will soon be available at brand stores, large format retailers and modern retail outlets. The product is available in the market in 50’’, 58’’ and 65’’ and is priced between Rs. 155,000 to Rs. 372,500. PE Electronics was formed with an aim to amplify the businesses of Philips Television and Electrolux Home appliances in India. A business unit designed to take forward the business of Philips televisions in India offering quality products, high service standards and nurture it with fully set up manufacturing, marketing and distribution facilities. PE Electronics Ltd was set up in India in 2010 to bring two internationally renowned brands, Philips in the television domain & Electrolux in the home appliances domain to the Indian market through a brand licensee agreement. As part of PE Electronics, the Philips television range consists of High Definition LEDs, LCDs and Ultra Slim Color TVs. The Electrolux product range consists of Refrigerators, Washing Machines, Microwave Ovens and Air-Conditioners. Under the exclusive brand license agreement with Philips, PE Electronics aims to deliver meaningful innovations in the television space to the Indian consumer and takes care of all manufacturing, sales, marketing and after sales service for the brand in accordance with the brand guidelines of Philips. PE Electronics is based out of Mumbai and employs over 1500 people. Sr. Director at Philips Global Brand Licensing, account lead for PE Electronics. Koos Dekker is based in the Netherlands, the home base of Royal Philips. Next to his role as head of consumer care, quality and sustainability in Philips Global Brand Licensing, he heads the Philips - PE Electronics brand committee, the formal body governing the relation between Philips and its brand license partner PE Electronics Ltd. Together with his team and in close co-operation with the team of PE Electronics, he ensures that all Philips TV’s, the manufacture thereof, the marketing campaigns and after-sales service for the TV’s are compliant with Philips’ unique brand identity and brand promise. In his 30 years with Philips, he held management positions in various businesses in Philips, such as Personal Care, Philips Components, Optical Storage, TV and IP&S, and in several functional areas, such as R&D, manufacture, strategic procurement, consumer care and brand licensing. This furnished him with a deep understanding and comprehensive view of the entire value chain in the consumer durable business. As veteran in the business, Koos has closely seen the evolution of the global consumer electronics industry. Due to his passion for meticulous process management and high quality, he is trusted and well recognized senior director in Philips. He was a core member of the team that transferred in 2009 the TV business from Philips India into the trusted hands of PE Electronics and enabled continuity of the Philips DNA in the Philips TV’s brought to the market by PE Electronics. During his 5 year co-operation with PE Electronics, Koos played a key role in bringing Philips expertise to support PE Electronics, such as in Design, (Digital) Marketing, Consumer Care, Quality and Sustainability and has successfully contributed to the growth of PE Electronics. Since the hand over PE Electronics has established a sound base for Philips televisions in India, while upholding Philips values across all touch points. It was with pleasure that Koos in Sept 2013 on behalf of Royal Philips could announce an extension of the brand partnership, reflecting that Philips had full confidence that PE Electronics would continue forth with a strong Philips television lineup, innovative marketing and excellent consumer care, and showing the confidence that the brand license partnership between PE Electronics and Philips is long lasting, providing continuity for customers and consumers. Chief Executive Officer - PE Electronics Ltd.
Neeraj Sethi is the Chief Executive Officer for PE Electronics Ltd. Before being named CEO in in November 2013, Neeraj was the Chief Operating Officer and was responsible for the diverse range of television products from Philips that included LED, LCD and Ultra Slim CRT. In his current role, apart from heading the television product range, Neeraj also leads the home appliances range of Electrolux refrigerators, washing machines, microwave ovens and air-conditioners. During his tenure with PE Electronics, Neeraj has successfully contributed to the growth of the company and played a key role in creating a niche for the brand in the Indian consumer durable market. He has steered company’s foray into new business growth areas and has driven innovative launches and partnerships for the brand. Under Neeraj’s leadership, PE Electronics strives to grow exponentially with a targeted market share of 10% by FY 2017. With over two decades of experience in setting up and scaling up business of top consumer durables brands in India, Neeraj has been associated with global multinational brands including Samsung India Electronics Pvt. Ltd, Videocon, LG and Eureka Forbes Ltd. at senior strategic positions. Prior to Philips, Neeraj was with Samsung India as the Vice President – Region Head, wherein he headed the AV Business. Having spent over ten years with Samsung India, Neeraj has worked across locations holding varied functional positions including sales, marketing and products. The vast experience furnishes him with a deep understanding and comprehensive view of various facets of consumer durable industry. A veteran in the business, Neeraj has closely seen the evolution of the Indian consumer durable industry and owing to his passion for excellence and rigor in execution, he has moved forward with numerable success stories and recognitions in his career span. During his stint with Samsung and LG, Neeraj has achieved various performance driven awards and has also undergone SVP global leadership performance before becoming Samsung’s valued person and one of their Youngest Vice-President. A firm believer in action over words, Neeraj holds a post-graduation degree in Business Management from Jammu University and a six sigma certification while working for Samsung. Neeraj is an avid reader, passionate about travelling and in his leisure time loves to play Golf.